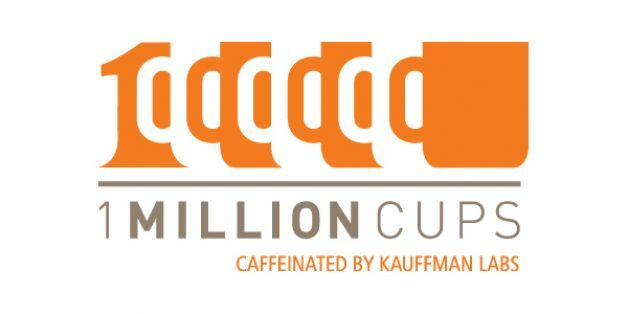 The Wednesday morning coffee and networking event called 1 Million Cups, created by the Kauffman Foundation, has added its 10th location and its first northeastern city. It’s not New York, Providence, or Boston. Instead, the latest community to join the 1 Million Cups family is on the Georgetown, Delaware, campus of Delaware Technical Community College. Georgetown, Delaware, sits about 20 miles from the Delaware and Maryland beach resorts. 1 Million Cups began in April 2012 in Kansas City, the hometown of its founding organization, the Ewing Marion Kauffman Foundation. Kauffman Labs is a program of the Kauffman Foundation. With its launch on the campus of Delaware Technical Community College in Georgetown, 1Million Cups is on target to expand its network to 20 cities by the end of 2013. Program leaders also plan to have at least one international city in the mix this year. The 1 Million Cups model is consistent in every market. Every Wednesday morning in each city, two early-stage startups present their companies to a diverse audience of mentors, advisers, and other entrepreneurs. Each founder presents for six minutes and then fields audience questions for another 20 minutes. The program is run entirely by local entrepreneurs who serve as community organizers. Entrepreneurs, innovators, and interested community members from Georgetown and the surrounding region will meet at 9 a.m. each Wednesday at Java 101 in the Student Service Center on Delaware Technical Community College’s Jack F. Owens Campus. The college also hopes to attract attendees from its other two campuses in the state. The first week’s presenters will be Lead Your Way Solutions, a leadership and organizational development startup, and fast-casual restaurant go brit! fish + chips. Georgetown joins Kansas City; Des Moines, Iowa; Houston; St. Louis; Cedar Rapids/Iowa City, Iowa; Reno, Nev.; Chattanooga, Tenn.; Denver; and Chapel Hill/Research Triangle Park, N.C., in offering 1 Million Cups locally. Additional cities slated to launch 1 Million Cups in the next two months are Columbia, Mo. ; Lawrence, Kan.; Orlando, Fla.; and San Diego. 1 million cups is great for startups everywhere else, so is this.